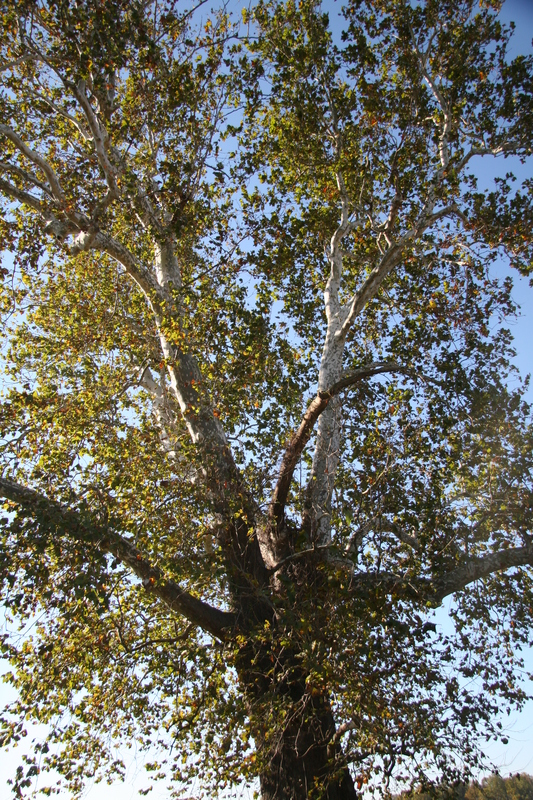 Sycamore, or American planetree, is a tree native to Delaware that can grow rapidly to reach great heights and massive sizes. It is found along streams and rivers but can also be planted in drier urban areas. It is easily identified by its mottled, multi-colored bark. The whitish bark that covers the upper trunk and branches falls off in irregular patches, exposing the bark underneath. Its wood is not very strong or durable, but is used for furniture, cutting boards, and paper. 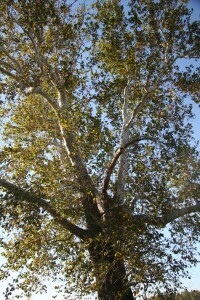 Sycamore leaves are 4 to 7 inches long with palmate venation and toothed edges. Its 3 to 5 lobes are divided by broad shallow sinuses. The one-inch round fruit breaks up when ripe.